The Brave Warriors will be playing their first Group B game against Ivory Coast on Sunday, 14 January in Marrakesh and if given the chance to play the Namibia Premier League top goal scorer Panduleni Nekundi is hoping to hit the back of the net. “I’m personally motivated to leave a legacy on this tournament and more so the national team and my job is to help the team win by scoring and creating chances for the team to win. We have a mutual desire to go down in history as winners and the guys understand that hard work is a process that will bring out the best in us” Nekundi states. 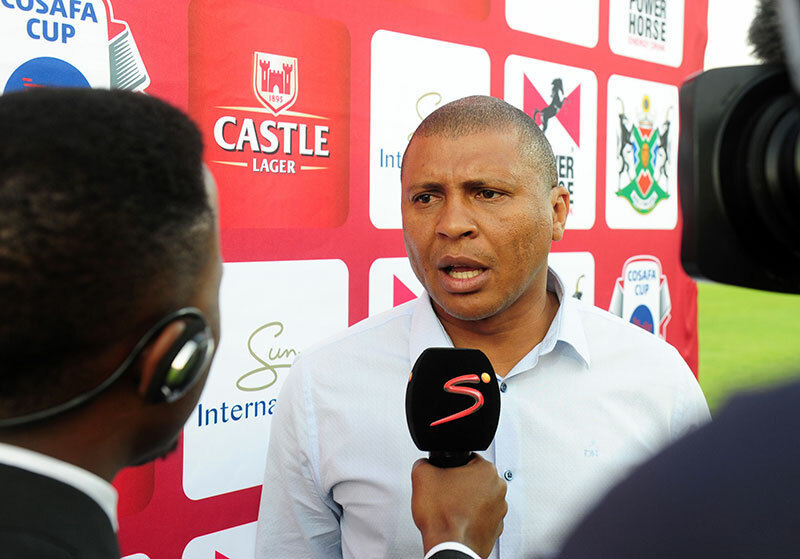 The African Stars striker who have scored nine goals in 12 outing for this club this term further believes the Brave Warriors’ underdogs tag can also help the team to surprise many if they play to the tactics laid out by the technical team. “ We are an unknown factor in this competition and so you can expect a different but positive brand of football. We have our won identify and we if we impose it on our opponents we can definitely go far” Nekundi, 29, talks up their chances. The former Tigers and UNAM FC striker will thus be grateful for time he will get to grace the pitches in Morocco. “I’m proud to have made it into the final team. It shows that the coaches believe in you and I will be appreciative for any minutes I can get on the pitch and hopefully I can play my part with some goals. I need to carry my club form into the national team and it doesn’t come better or more convenient than now”, hopes Nekundi. The team will continue training in Tunis ahead of their departure for their base in Morocco in Marrakesh on 11 January. They face Ivory Coast on 14 January, Uganda on 18 January in Marrakech and finally play Zambia in Casablanca in the final group game on 22 January with the top two teams advancing to the quarterfinals. Here is 23 Brave Warriors for the 2018 CHAN finals: Edward Maova, Charles Uirab, Lodyt Kazapua, Ferdinand Karongee, Tiberius Lombard, Charles Hambira, Edmund Kambanda, Dynamo Fredericks, Hendrick Somaeb, Petrus Shitembi, Benyamin Nenkavu, Ronald Ketjijere, Emilio Martin, Absalom Iimbondi, Roger Katjiteo, Kleopas Useb, Vitapi Ngaruka, Panduleni Nekundi, Junias Theophilus, Riaan Hanamub, Oswaldo Xamseb, Itamunua Keimuine and Himeezembi Hengombe.